Every human being has a kept secret of their own that can either be disclosed to a single relative or to no one. With this confidential general information, people expect their colleagues to keep their mouths closed. However, in the field of employment, an applicant must disclose all the necessary details of himself, his skills assessment, as well as how he managed his job from his former company. For security and to assure that the applicant claimed facts, hiring managers to conduct a survey and an interview through a process known as reference checking. 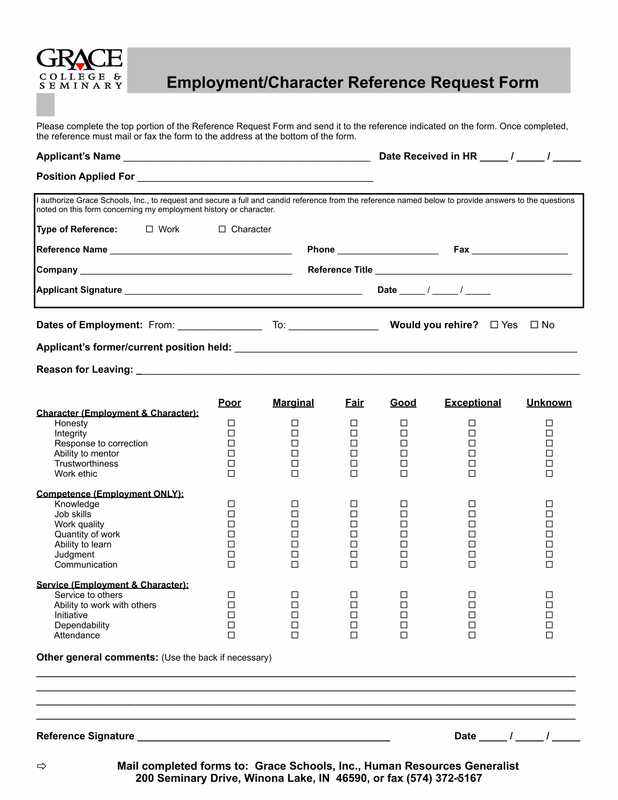 A reference request and release form is a single document that contains the information and fields from both a reference check request form and a reference information release form. With this document, the employer or the hiring manager of a company will be able to acquire a legal consent from the job applicant to gather more information about his work history and personal background. 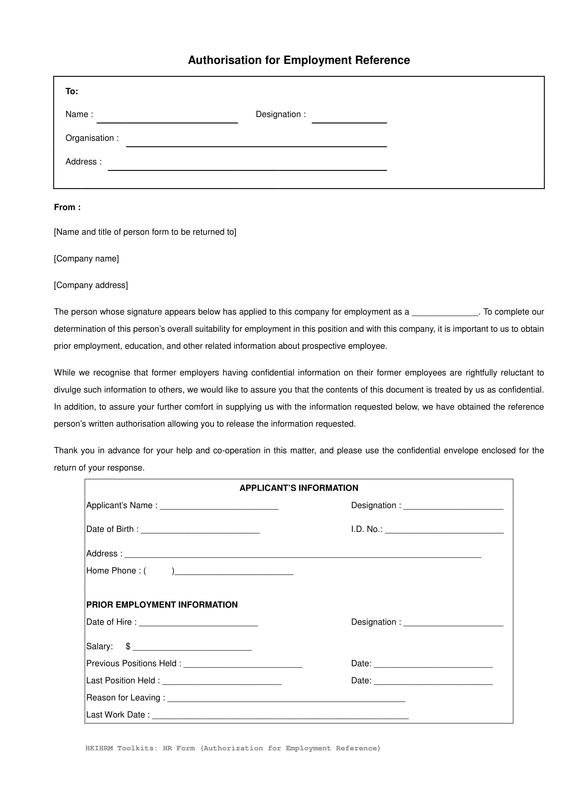 The other purpose of this form is also to let the hiring manager obtain a list of the names whom the applicant was previously associated from his former job application position as well as in determining if the applicant had been convicted or bailed due to an illegal action. What’s Inside a Reference Request and Release Form? This section will have the description and explanation of why the form is needed as well as the specification of who shall fill out the fields of the form. The introduction can include the details of the association between the job application process, the resume, and the claims of the applicant during the interview with the statements that the people on the reference list will be disclosing to the hiring manager. Additionally, how the areas of the form must be completed along with the explanation of the rating scale for the reference check person’s applicant evaluation will also be stated in this section. This will indicate the name of the person who has been listed under the applicant’s character reference with the address and name of the applicant’s former company. Although this section is not a mandatory area to be included on the form, this is significant especially if the reference request and work release form are sent to the applicant’s former company in order to gather the employer’s rating about the applicant’s behavior and work ethics. The name of the hiring manager or the employer who will be conducting the reference checking process of the job application will be stated in this section with the applicant’s name. These are important to assure that the business management will be able to distinguish the responsible employee or personnel who contacted the applicant’s references. The name of the applicant is also significant to determine as to whom the ratings and the comments of the outside company shall be addressed to. This will state the identity of the person who will be interviewed for the reference check and will disclose the general information of the applicant. 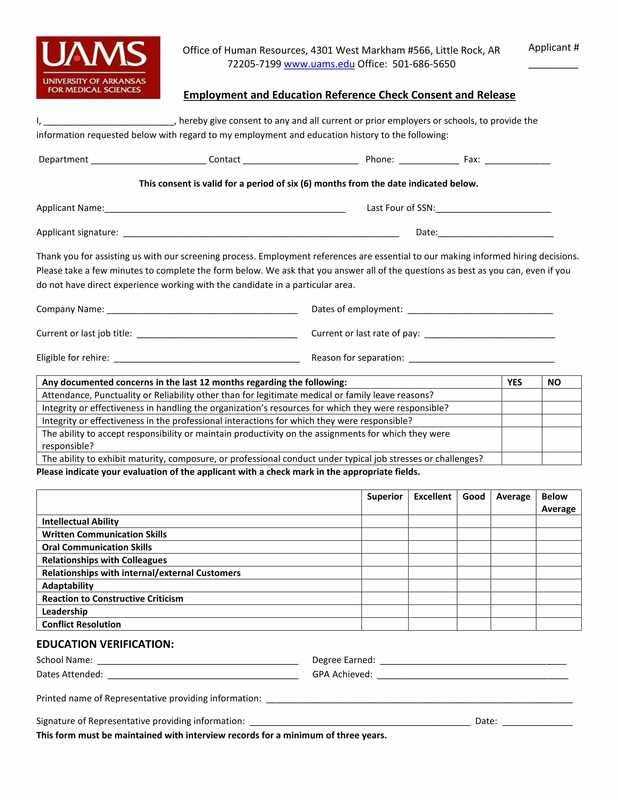 The information will include the period of employment wherein the applicant worked as a regular or probationary employee under the company, the job position of the applicant, the exact rate pay that the company provides for the applicant’s salary, as well as the known reasons why the applicant left the company and the decision of the company of whether they rehire the applicant for other positions available or not. The evaluation and the job assessment that the reference person provided regarding the applicant’s employment will be written and summarized in this section. With the ratings, the company management or the hiring manager will be able to determine if the applicant showed an outstanding performance from his previous jobs or if there are areas that need to be improved by the applicant in order to comply with the job’s qualifications. This statement must indicate the intention of the company to use the personal information of the applicant for deciding on their hiring opportunity and candidate selection. Details that indicate a confidentiality agreement or keeping matters and answers within the usage of the hiring managers should be included in this section to assure that the applicant and the reference personnel are informed with the boundaries or limitations of where the data will be served. In addition, the information release statement will also be used by the company in determining if the applicant prefers to have a copy of the claims and the ratings that his previous employers provided for him through fax or through email. 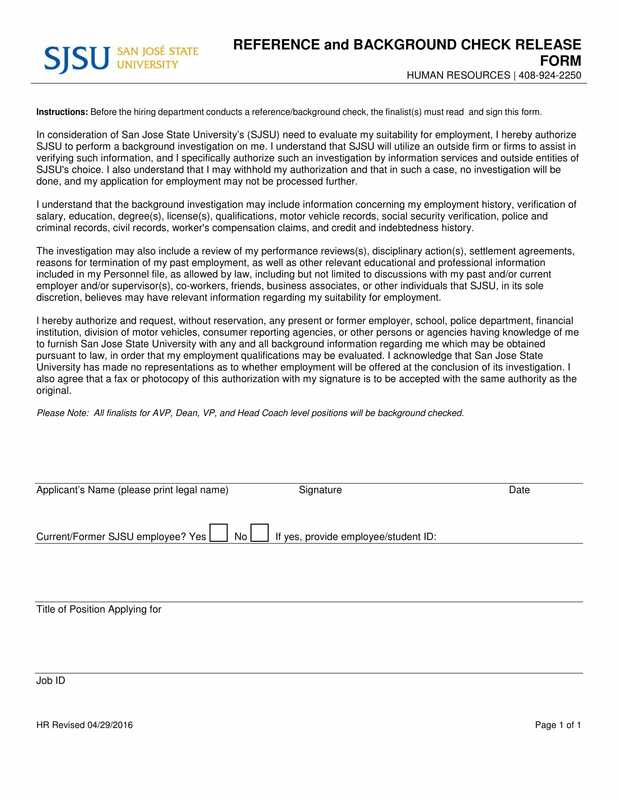 If the applicant agrees unto the terms and conditions in the release statement as well as the information that the company already gathered from his resume, he will need to affix his signature verification on the form. 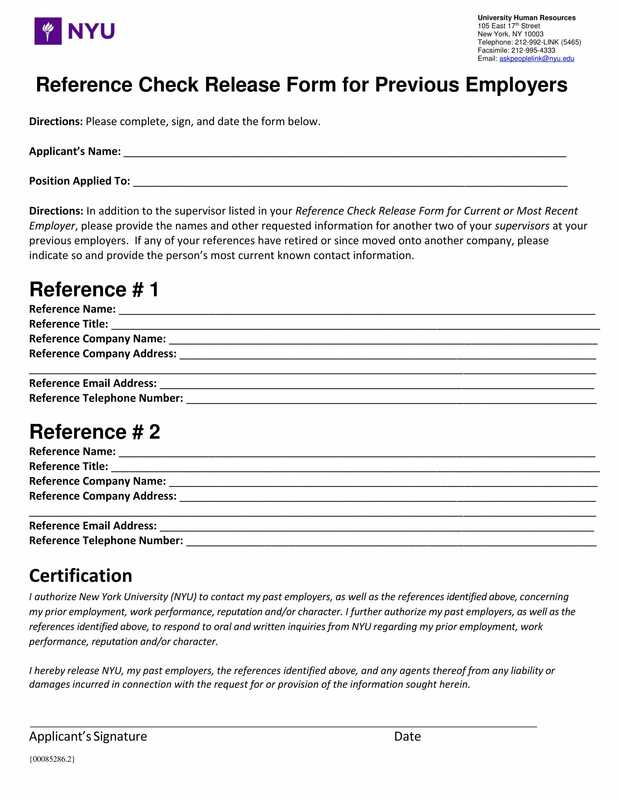 The person who will be conducting the reference check will also need to include his signature in this section to imply that the applicant has been guided through the whole document and that a fair agreement has been made prior to collecting in-depth employee information of the applicant. A reference request and release form may be a single document but it can be accompanied by other paperwork to strengthen its purpose. 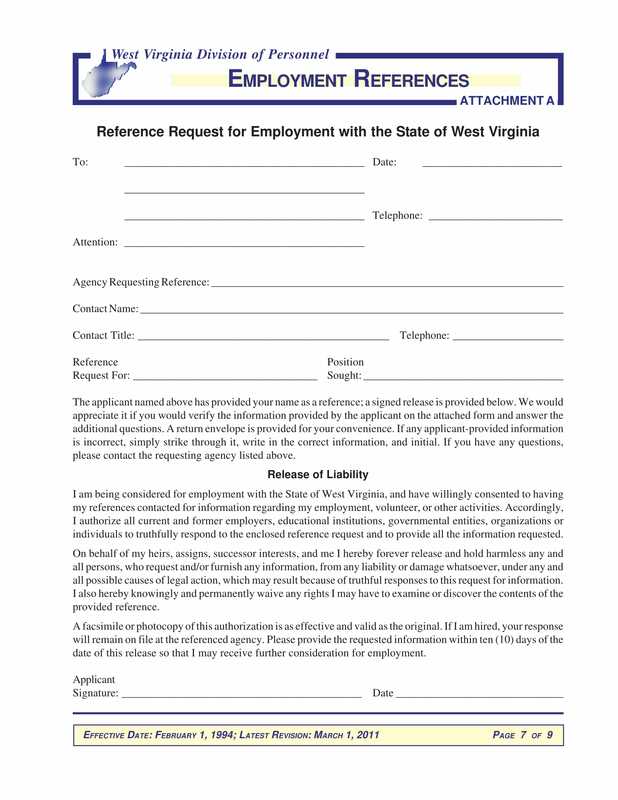 Three known paperwork and legal forms that can be used with the aforementioned release form are the authorization form, employment verification form, and the liability release form. 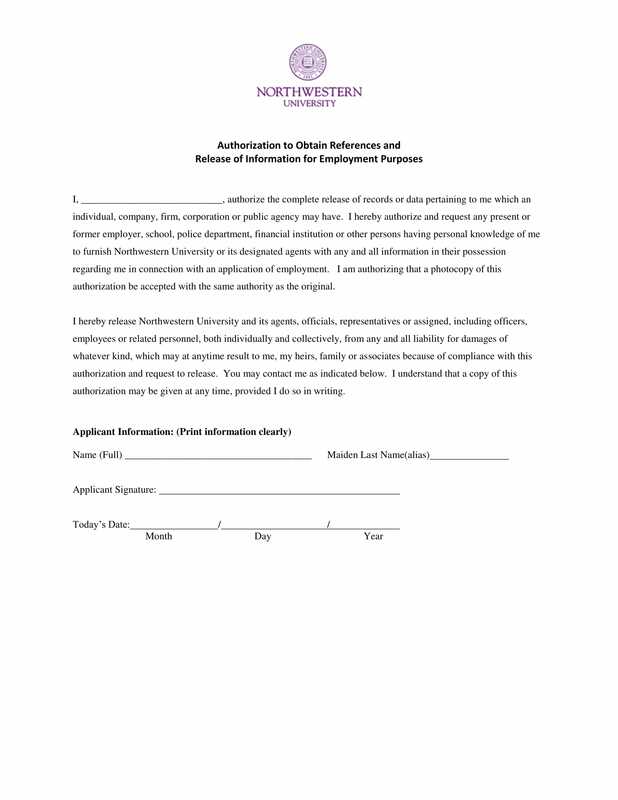 An authorization form will act similarly to a release form; however, this will focus on obtaining an approval from the applicant that a reference check will be conducted and that particular information that the applicant provided will be used for the process. On the other hand, the release form will only deal with the usage of the information that the former company will provide about the applicant. 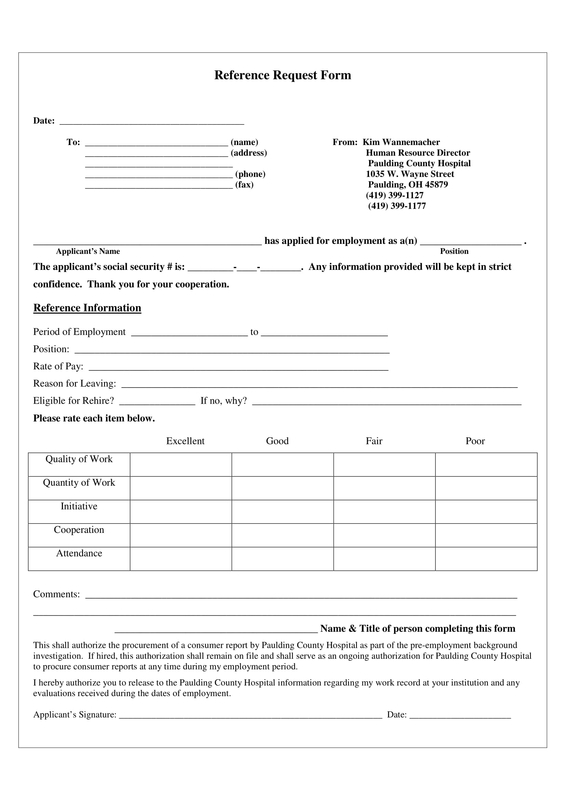 Employment verification forms are to be used for clarifying the previous job of the applicant. 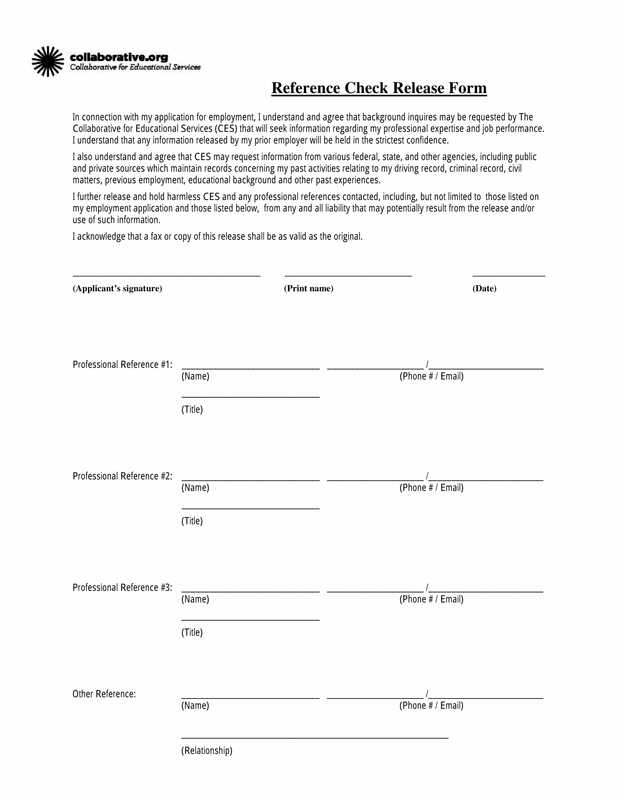 This form will be sent to the former company in order to know the actual status of the applicant of whether the applicant has resigned or if the applicant is a current employee of the company. Additionally, this verification form is not only useful for company management but also for insurance companies as well for distinguishing if an applying member is employed or not. 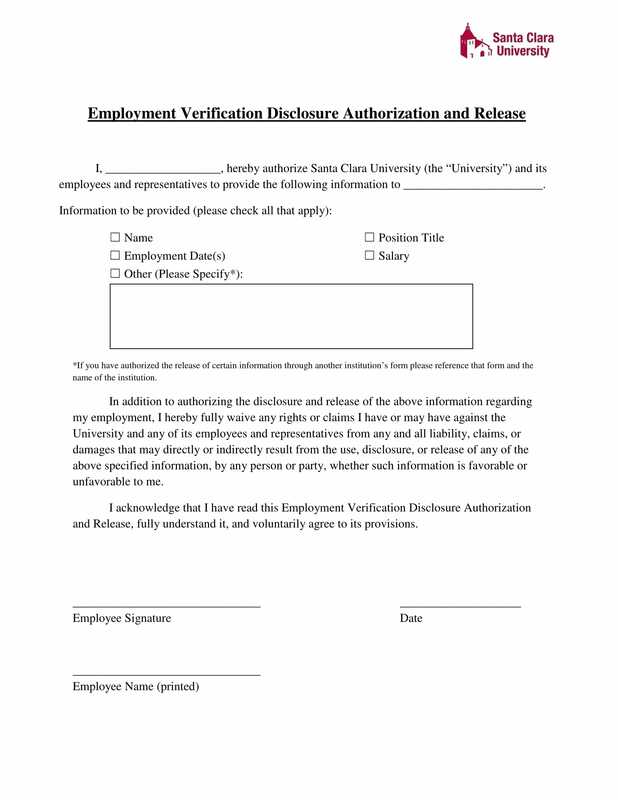 Another verification form that an applicant may need to sign and be informed to is an identity verification form to imply that the name and personal identity of the applicant are real and not stolen from other individual’s details. 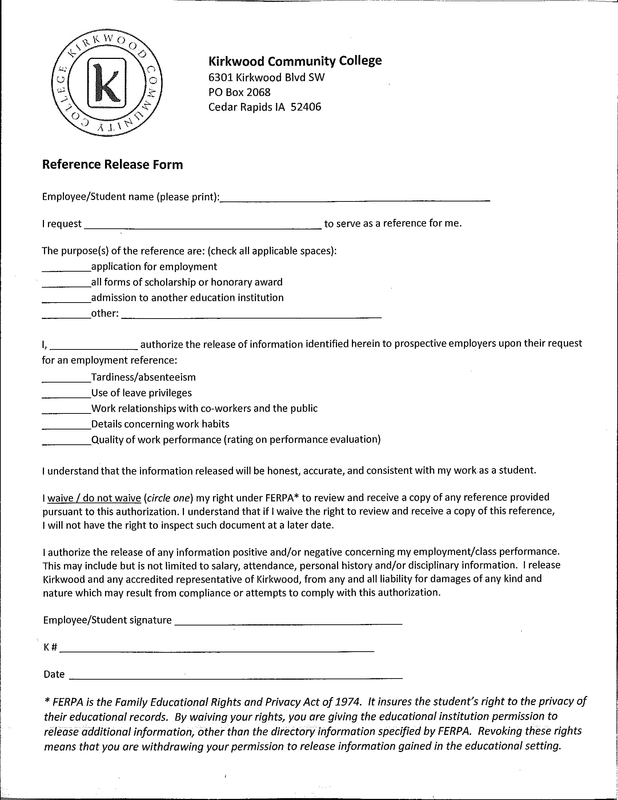 Lastly, a liability release form is also useful. This document will indicate that whatever information the company will acquire has been approved for use and that the applicant will waive his rights to sue the company for the invasion of private details and data. 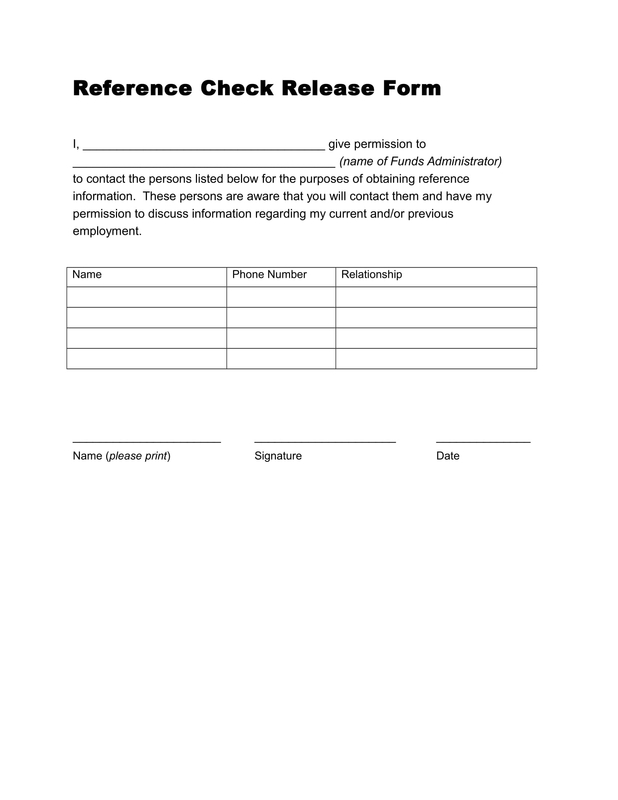 Commonly, this form is summarized and enclosed in the reference check form to indicate a statement and terms along with the other regulations regarding reference checking. Although these documents are essential, whether to include these in the reference check form or not depends on the needs and the preference of the hiring company. Nonetheless, it is significant to acquire precautionary measures before any incident or case will occur during the job application process. However, due to the need for the fired employee to get a job, he keeps this information to himself and omits including the contact information of his former company in the reference of his resume. With this, the workers in the company are placed at risk due to the lack of in-depth investigation and search that will be resolved if the company has successfully conducted a reference check. On the other hand, the company management will not be able to go through the reference checking without the proper consent of the applicant. This is when a release form will serve its purpose along with a consent statement from the applicant who will grant permission for the company to check his employment background. 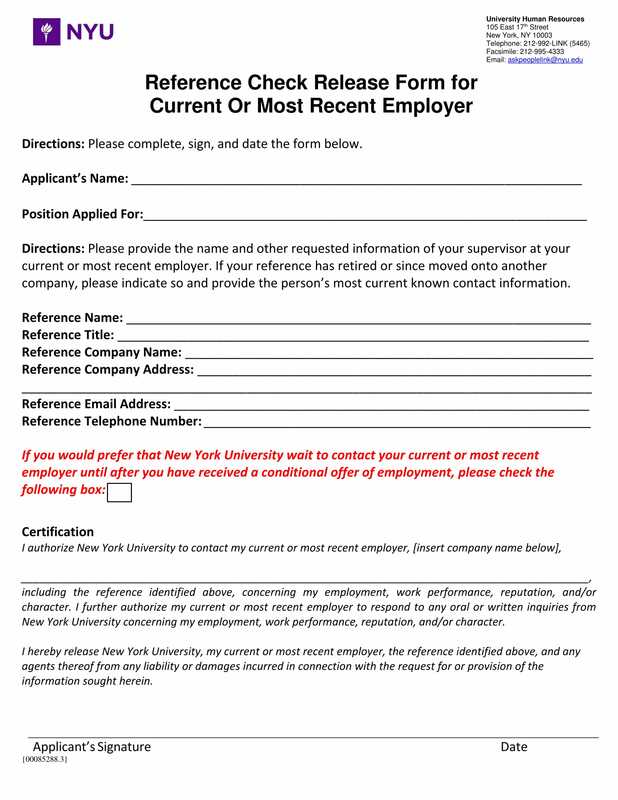 Other companies also use the release form or the release statement to indicate that they will be gathering the data for statistical studies that are related to employment such as determining the percentage rate of applicants who have graduated with a course and other matters. 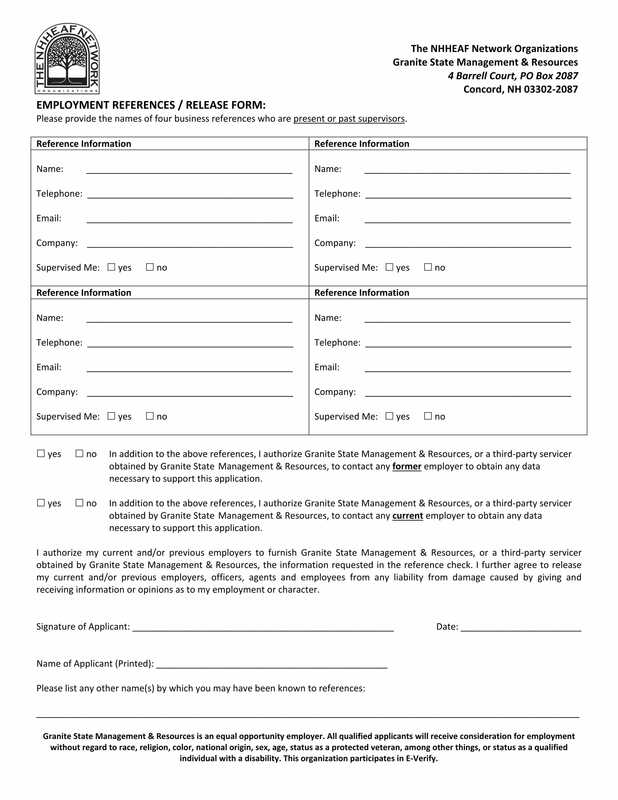 To sum up, a release form is a document that protects companies from allegations that some applicants may point out regarding their collection of employment data from the applicant’s previous companies involved.